Photography podcasts are a great way to keep up with what's current in the wide-wide world of photography, and to keep on learning about diverse aspects of the photographic arts. APS President Mike Shaefer shares his ten favorite photo-related podcasts for everyone to enjoy. The Grid is just one of many productions from Photoshop/Lightroom guru Scott Kelby. It's well produced with a very professional look & feel. Outside of the helpful critiques the show generally has interviews and panel discussions. The discussion episodes are usually the least useful to me, so be selective. Critiques are usually well delivered & genuinely useful for learning. The Podcast includes video as well as audio. At times, Photoshop and Lightroom tips are discussed in surprising detail. Good podcast if you find an episode that interests you. 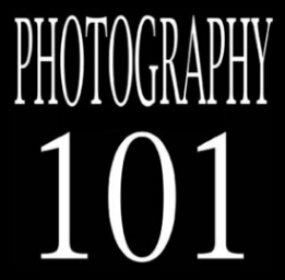 Hosted by photography instructor/author Scott Wittenburg, Photography 101 is for anybody who wants to learn the secrets of taking better photographs digitally and traditionally. Tips on camera settings, lenses, lighting, composition, exposure, studio photography, difficult shooting situations, black and white film, darkroom techniques and alternative processes are among the topics covered. Subscribers are encouraged to submit questions to the host, who will address them in future podcasts. I recommend this one. The Digital Story is where photography meets technology. It's weekly podcasts include photo tips, equipment reviews, and more. Author and pro photographer Derrick Story shares his insights, experiences, and opinions. The host presents interesting and useful topics that are of interest to his intended audience. Listening to his podcasts is like having him alongside, helping you become better at the craft. I listen to this podcast regularly. A good all round podcast for useful tips and information. 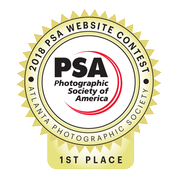 The Master Photography Podcast convenes a small group of photographers to take turns covering listener questions, photography news, and the famous photography "doodads" of the week with each round table discussion episode. This is the podcast for enthusiast and professional photography nerds who want to step up and master their photography. Each host has a special skill for covering advanced level photography techniques in a way that less experienced photographers can understand. They don't talk down to newer photographers. I recommend this podcast for those who want to advance their skills and knowledge. The Candid Frame is one of the most refreshing photography podcasts I have heard. You won’t find anything to do with the latest cameras or equipment. Nor will you find anything to do with technique. Each episode entails the host interviewing someone new and delves deep into their psyche to extract information about their thought processes. The host is excellent. He clearly does his research before each interview because his questions are not those you would normally expect to hear. They are insightful and deliver responses that go to the core of the interviewee. Highly recommended. Latitude Photography Podcast is one of several Photography Podcasts presented by a group of dedicated photographers who love to share their joy of photography through a variety of photo-related shows. 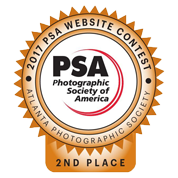 This is the same group that presents The Photo Taco and The Master Photography Podcasts. This podcast more or less provides a summary of topics from their collection of podcasts. Although a bit dry and technical for my tastes, I still check this podcast out occasionally. These guys know their stuff and can be very informative. I recommend this podcast - take a look for episodes that interest you. Are you curious about the history of photography? 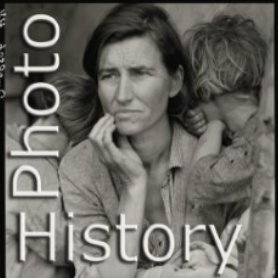 The excellent Photo History podcast will fill your needs. Audio and video are combined as the host teaches different time eras in photography history, and dedicates entire class sessions to prominent photographers. You will discover and learn about important and influential photographers of the past. If you really want to become a better photographer, listen to this podcast and learn from the Masters. Highly recommended. The Recompose biweekly podcast, with professional photographers Andy Williams and Juan Pons, offers thoughtful ideas and suggestions on how to improve your photographic skills. Here they discuss all topics related to photography. A combination of photo technique, gear, travel and more. If you are into travel photography, practical equipment tips and recommendations, and a healthy dose of positive feedback, this podcast is for you. I recommend this one to find episodes that interest you. 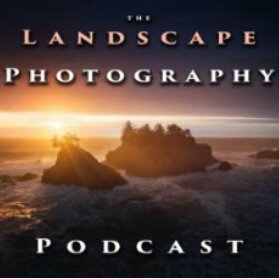 The relatively new Landscape Photography Podcast, hosted by Nick Page, covers all about the art, science and love of landscape photography. About 3 episodes are posted per month. The topics discussed are broad and often useful. 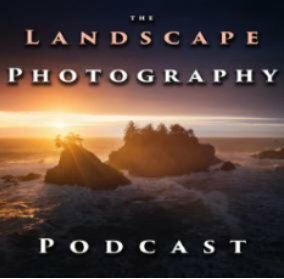 Even if you are not primarily a landscape photographer, this podcast is excellent at helping improve your photographic skills. The website for the podcast is impressive and quite an experience. 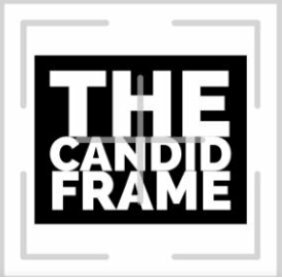 Check out this podcast to find episodes that you find interesting or potentially helpful. The Martin Bailey Podcast has been around since 2005. The podcast focuses on many topics but it seems to emphasize nature and wildlife photography. The host is a font of knowledge and his relaxed attitude makes him easy to listen to each week. He covers many topics related to photography and the business of photography. Another must listen and one I listen to regularly. Highly recommended.